297 inscriptions from the GAR plot in Section 33, Allegheny Cemetery, Pittsburgh PA were transcribed by Nancy and Tom McAdams. PANNELL        JOHN                           Unnumbered Soldiers Lot Stone. CIVIL WAR? THOMAS         EDWARD W.        16 Sept 1900  MUS 19 US INF - Unnumbered Soldiers Lot Stone, CIVIL WAR? WENTZ          JOSEPH                         Unnumbered Soldiers Lot Stone, CIVIL WAR? "Erected To The Memory Of The Gallant Men Who Gave Their Lives In Defense Of Their Country's Honor"
AND FAME SHALL WREATH THY GRAVE. Burials in this Soldiers Lot are mainly Pennsylvanians. But, there are Civil War Veterans from Alabama, California, Illinois, Indiana, Iowa, Kentucky, Michigan, Mississippi, New Hampshire, New York, North Carolina, Ohio, Tennessee, Virginia, West Virginia and Wisconsin. 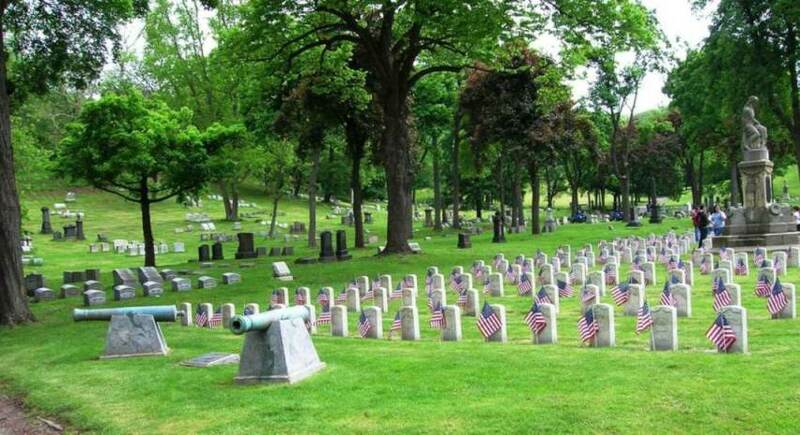 There are Seven CSA (Confederate States Of America) Veterans in this section. 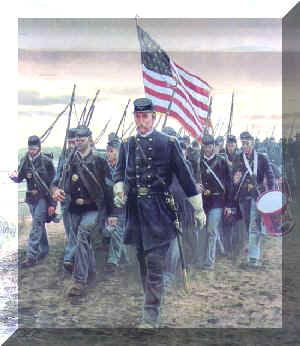 In addition there are Eight Veterans of The Spanish American War, One from The Mexican War and Thirteen Unknown Burials. Five of the seven Confederate States of America veteran burials have stones with tops that come to a point (not curved as Union Markers). Bill says: "The reason is so 'No One Can Sit Upon It'". Bill comments: "I put CSA flags at the markers for the CSA Veterans and each year they quickly disappear". Bill remarks:"Stone #154 is E.Z. Hall, (Ezekiel Zebuliah Hall). He was killed at The Battle Of Gettysburg and his remains were being transported to a state further West of Pennsylvania. His body was removed from the train in Pittsburg and transported by wagon to Allegheny Cemetery for burial because of the "poor condition of his remains, and the body stank". The charge was $10." 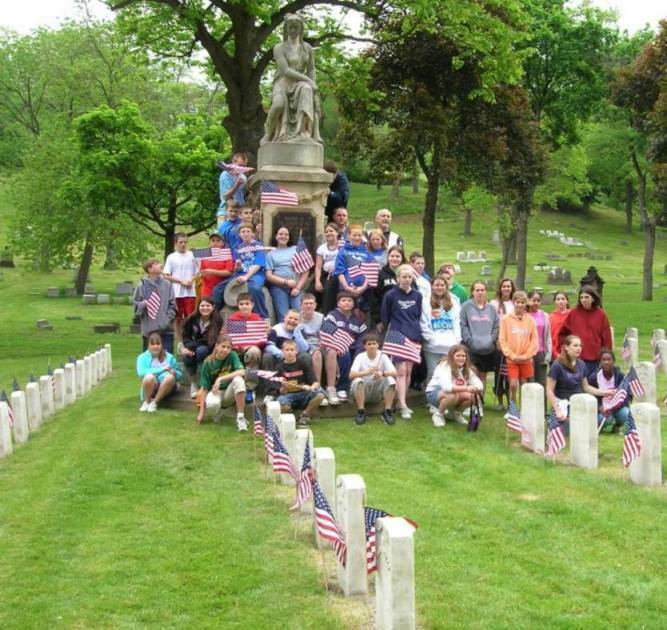 Girls & boys from Saint John Neuman School place a flag at each veteran marker for Memorial Day each year. Bill comments: "We want this generation to know and remember what the women and men sacrificed to make this country free, to respect and honor their memory and to tell their children in time to come."